The fixtures for the 2018 SSE Airtricity League First Division have today been released. 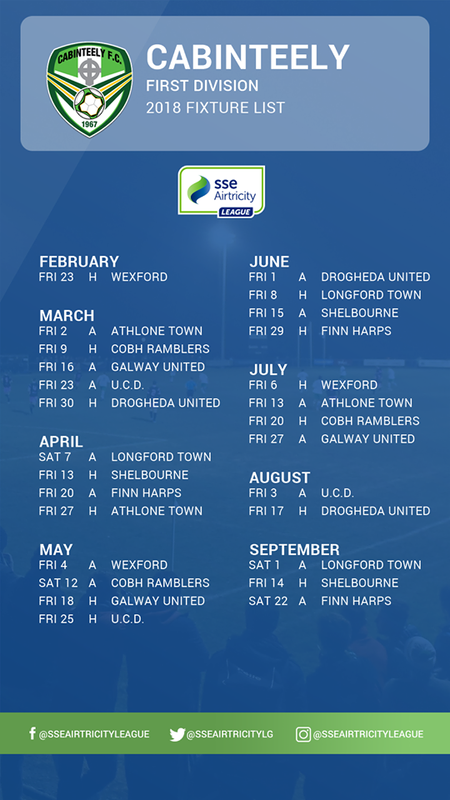 Cabinteely will kick off the season at home against Wexford FC on Friday the 23rd of February at 7:45. Our first away game is the following weekend away to Athlone Town. To add our fixtures to your calendar, please see our 2018 Fixture List.